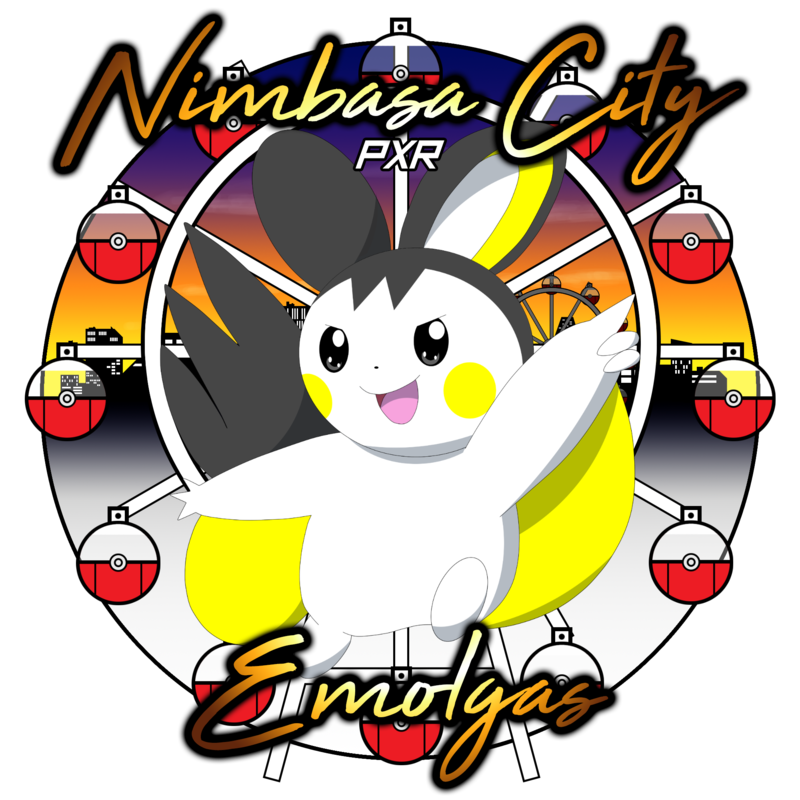 Your Nimbasa City Emolgas are in the last week of the UPPL Draft League main tournament! And before them is the commissioner for UPPL, the last of the Blastburn Radio triad, and coach for the Nap Town Ninjacks. Jolly by Nature! A battling veteran, a man with a crafty head and just a pretty nice guy. A jolly guy who is ready to show that nature in one of our toughest battles. Jolly is a tough competitor for many reasons. He is an experience player who knows how to play when he is ahead and behind in a competition. That kind of pressure has forced Jolly to become a crafty player who looks at all angles and determine the best way to tackle any problem. He also has a well rounded team that can do anything he needs them to do to. This is mostly thanks to one player on his team. Though, what makes Jolly really scary is that he knows our team inside and out. He has helped build the team with suggestions for certain team members. Jolly has been watching my progress in the League with a close eye. That means he is familiar with my play style and how I tackle problems with my Pokemon. That being said, I guess Jolly wanted to make things a little even and let me know that he was going to do with this match. After all, both our teams were going into playoffs. The only thing that this battle determines was my placing within the playoffs. That is why Jolly said that he was going to have fun with our match and bring some interesting sets. 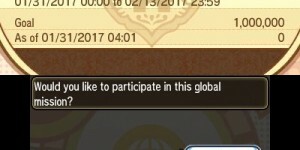 What does that mean for me? That all my observations from watching Jolly’s matches were going have to go out the window. Jolly could be bringing some insane sets that will throw me off. This match will be tough because he can bring a gimmick set that will throw me off. Somebody was going to sweep up a win. Either way, this was going to be a tough battle as we were going to do our best to keep our third place ranking. Lets take a look at some of the things we were worry about from Jolly. Mew: This was going to be our biggest threat from Jolly. Mew can learn almost any technique. 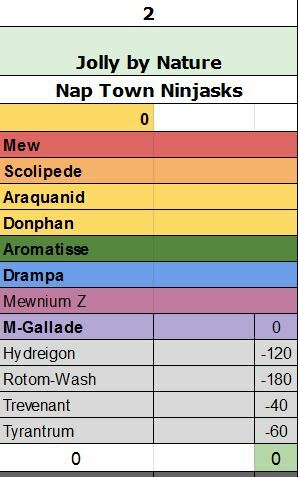 That means that Jolly’s sets for Mew could be anything that he needs to counter a certain Pokemon on our team. Mew may not be a master but it can be a jack of all trades. Sometimes that is all you need. We could guess that Mew would bring Ice Beam to handle my Gliscor. Perhaps Jolly will use Mewmium Z to fire off a powerful Genesis Supernova to set up a Psychic Terrain. We could see Jolly have Mew use a Swords Dance and Earthquake combo to handle our Zeraora and Volcanion. There are many things that Mew could do to hurt our team. We are just going have to be prepare to face Mew and what it brings. Did we mention that Mew can be pretty bulky? Lets not forget that. Our Solution: My best solution for Mew lies with Kartana and Scrafty. Our first counter to Mew will be Scrafty because of his typing. Scrafty’s Dark typing will make him immune to Mew’s best attack, Psychic. It will also do the same for Genesis Supernova. From there we can use Knock Off to get rid of any item Mew will be holding except for Mewnium Z. We can then use Dragon Dance in hopes to fire off a stronger Knock Off to take out Mew. If Scrafty can’t handle Mew then we can always depend on Kartana to cut Mew down. After all, he can use Night Slash to land a Super Effective attack. If worst comes to worst then we can use Leaf Blade to land a solid STAB attack. 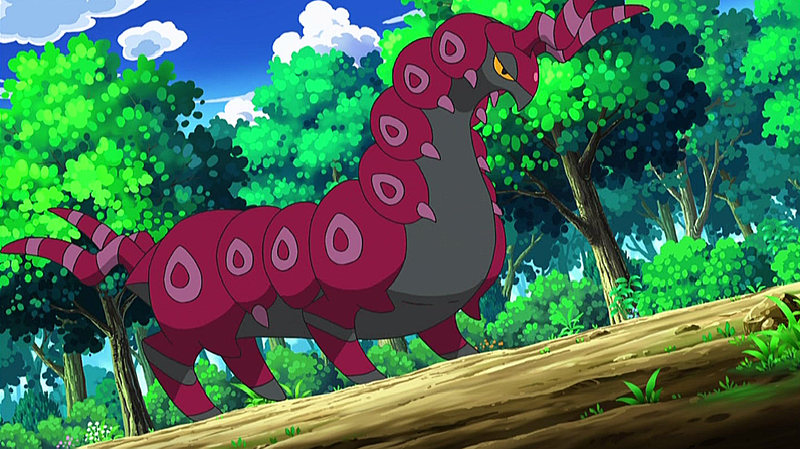 Scolipede: This is one of the Bug Pokemon that Jolly has drafted for his team. The captain of the Bug Army for Jolly’s team. This Pokemon can go fast and hit hard. Mostly thanks to Speed Boost and Swords Dance. Once Scolipede gets a few boosts in Attack and Speed then it can run over our team. Literally. Earthquake for Zeraora and Volcanion. Rock Slide for Noivern. Poison Jab or Megahorn for the rest of my team. It may not have much for Kartana but it isn’t like Kartana can do anything to Scolipede. Our Solution: Hit it hard. We can use Noivern’s Draco Meteor to handle Scolipede. If we really want to roll the dice then we can have Noivern use Hurricane. This strong STAB attack will blow Scolipede away. The problem is that Hurricane has horrible accuracy. If Volcanion can survive an Earthquake then we can use Flamethrower to burn up Scolipede. Our last resort may have to be Gliscor. This week we brought Swords Dance on Gliscor to experiment. If we can get up our own Swords Dance and use Earthquake then things can shake up in our favor. 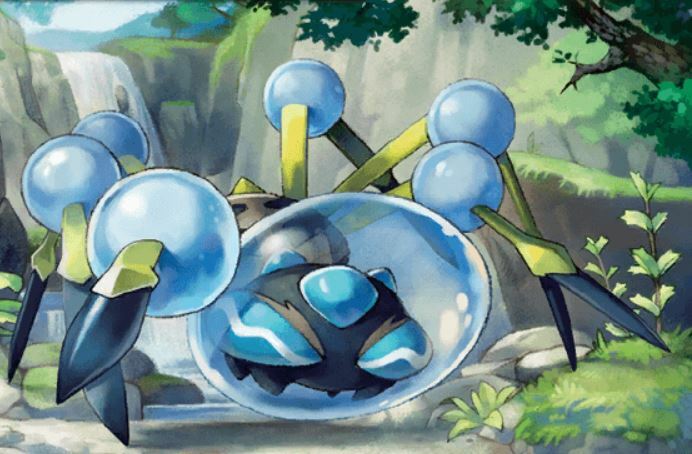 Araquanid: Presenting the second in command in Jolly’s Bug Army. This guy has plenty of defense to live any attack. Even the Super Effective ones. Though, it can do several things for Jolly like doing speed control with Sticky Web. If Jolly can make Sticky Web stick then that will take away one of our team’s advantages: Speed. Some of our Pokemon can only outdo Jolly if they can attack first. That will mess us up quite badly if Jolly can attack us first. Our Solution: Our best solution is going to be Zeraora who can hit Araquanid for Super Effective damage with Thunderbolt. It will hit the Water-Bug hard and that is what we want. It may not be a one hit KO but it will do plenty of damage. We can also hope that Hurricane with Noivern will not miss. That will be one attack that the big bad bug will not want to face. Though, we will need to hit it first. Rotom Wash: What can we expect from a washing machine? Plenty of defense and lots of Burns. Things that we do not want to deal with but will have to. 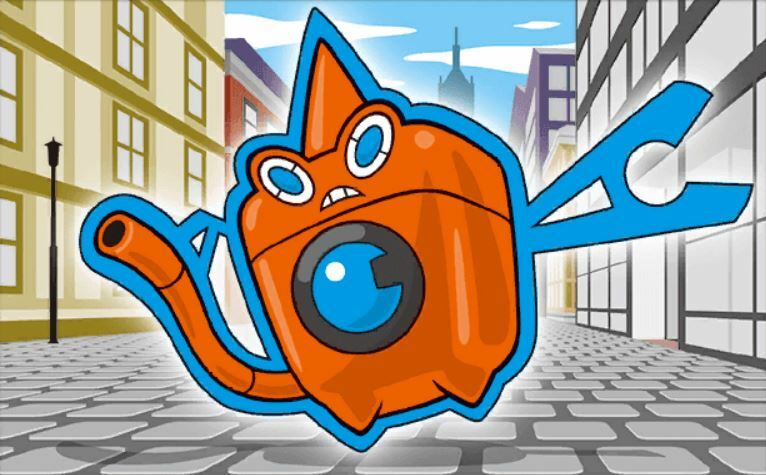 After all, Rotom Wash is a face of Bulky Water types. It has some great typing and an amazing ability. It threatens our Gliscor with strong a Hydro Pump. Rotom Wash can use Thunderbolt to hit our Volcanion for strong damage. If we wanted to switch in Zeraora into Rotom Wash’s Volt Switch then we could risk coming into Will o Wisp. That would be the worst thing because we do not want to put our Zeraora on a timer. Anything attack on Rotom Wash will need to be a big one so we can slowly chip away at it. Our Solution: We have a few good solutions to Rotom Wash. Mostly in the form of Scrafty and Kartana. Scrafty would be the typical solution. His Shed Skin doesn’t care about getting burn. We can easily set up Dragon Dance with Rotom Wash in the active. Mostly thanks to Scrafty’s Special Defense. The Burn will be annoying but it can be dealt with Shed Skin. If we want to be proactive then we can always use Knock Off to get rid of Rotom Wash’s Leftovers. Most likely that will be our first thing to do before we start stacking up Dragon Dance. Kartana will be our super offensive solution to Rotom Wash. His Leaf Blade will cut Rotom Wash to shreds. Though, we will need to make sure that Kartana’s attack will be one that takes a knockout. If Rotom Wash can land a Burn or hit hard with Hydro Pump then that is it for Kartana. He is going to be gone. Hydreigon: This nasty guy is Jolly’s big bad dragon. Some people like their dragon with fluffy. Others like them as giant bats. Jolly likes them as three headed hydra monsters. There is a reason why. Hydreigon has amazing Attack and Special Attack power. It may be lacking in speed but Jolly knows that a Choice Scarf will take care of that. Perhaps Jolly wants to run something that hits hard? Then slap a Choice Spec on it. That will take out anything I throw at Hydreigon. Especially if I want to switch something in. Something that I will most likely try to do and Jolly knows that. Our Solution: Our first solution is to use Noivern to handle Hydreigon. No matter what Hydreigon is equipped with, Noivern will out speed it and hit it hard with Draco Meteor. That is assuming that we are not locked into another attack thanks to our Choice Scarf. Either way, we can always bring in Noivern to land a solid Draco Meteor on Hydreigon. Other options? Zeraora, Scrafty and Kartana. 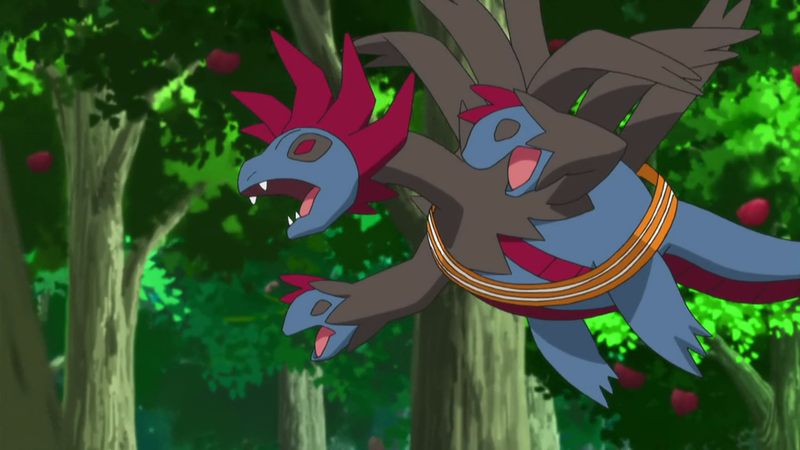 All three of these options have strong Fighting attacks that can hit Hydreigon’s Fighting weakness. 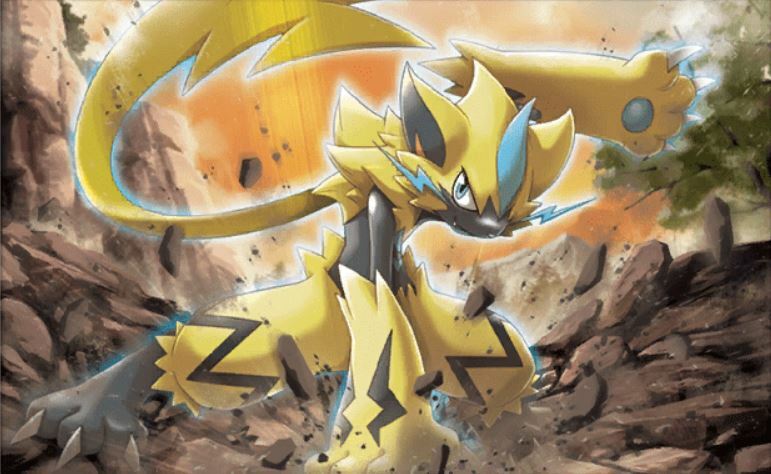 Zeraora will have our Fightinium Z to lay the smack down on anything that needs it. Hydreigon will be the perfect person for that. Can Hydreigon be a problem? Yes but we got solutions. Donphan: Meet Jolly’s nice ground defender. Donphan can take many hits from any opponent. It can set up another layer of hazards with Stealth Rock. Hit our Pokemon hard with Earthquake. Also, Donphan can learn a lot of weird attacks. Ice Shard? That is an option and it can hit Gliscor hard. Seed Bomb? Another option. Not sure why but it can be used. Donphan also has a built-in Focus Sash thanks to Sturdy. If we want to take out Donphan then we will need to do some damage to it when it comes out. That could involve taking a hit from Donphan. We can do that if we have the right Pokemon in the active. Though, Donphan will hit hard if given the chance. We just need to be careful when around Donphan. 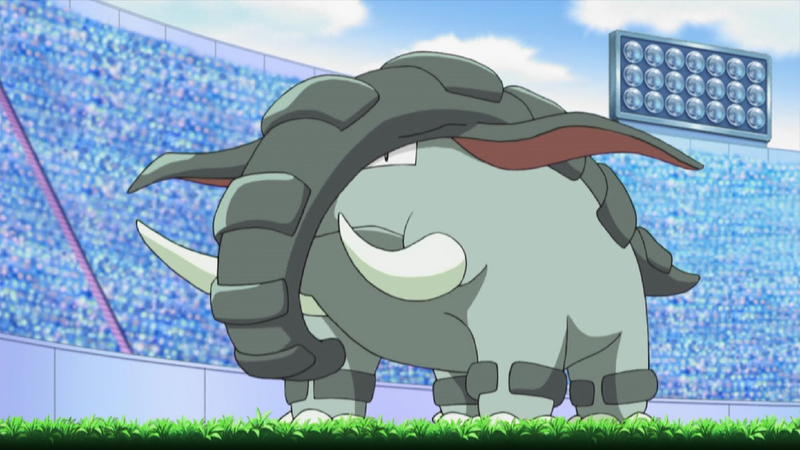 A strong Leaf Blade will take out Donphan. All we have to do is do some damage to Donphan to get round Sturdy. Once we do that then this tire elephant will go down. Tyrantrum: Meet Jolly’s newest addition to his team. This big dinosaur was recently added to Jolly’s team at the last minute and it is scary. Tyrantrum is a pretty solid wall breaker. That is bad because our team has plenty of walls. 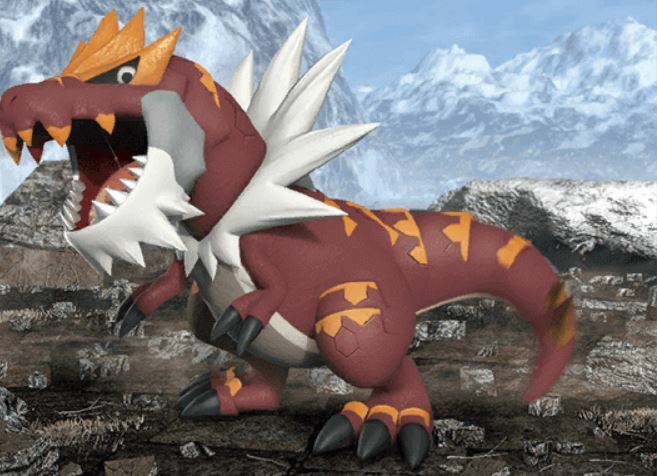 Tyrantrum has Strong Jaw ability and plenty of fangs to use it. Especially fangs that can rip apart my team. Fire Fang to chew up Kartana. Ice Fang to bite into Gliscor. Lets not forget Dragon Dance can be used to boost up Tyrantrum’s Attack and Speed. We do not want that. Especially if there is an Earthquake that is using that boosted Attack. Our Solution: This will be another job for Noivern. Draco Meteor will give this dino flashbacks to the time the meteor wiped them from existence. Kartana wouldn’t mind handling Tyrantrum. We can use Sacred Sword to do some heavy damage to the dinosaur. Though, this will be another Pokemon we want to make sure to get a knockout. If not then Kartana could go down. Zeraora wouldn’t mind handling Tyrantrum as well as long as it has the option to use All Out Plummeting. Rock typing is a solid typing but leaves Tyrantrum with plenty of weaknesses as well. We now know what to expect from Jolly. At least, from his Pokemon. Who knows what Jolly has brewing in his head. That will have to be saved for our battle against him. Though, we are going to show Jolly just who the heck we are! Click on the image to watch the battle! We are in the Champion Room and ready to take on Jolly. He has brought a fun team but I am going to take this serious. After all, if I am actually good then I should be able to handle this team. If not, then I guess I still have a long way to go. I decided that our best start in this match was going have to be Scrafty. He can go in and Knock Off anything that comes before us. Though, Jolly thought it would be best to start with Araquanid. That way he can set up Sticky Web and slow down my Pokemon. I can’t let that happen to my team. At least, not yet. That is why I swap into Zeraora who loves to go fast. I can’t have Zeraora go second to Jolly’s Pokemon. If I have to leave Zeraora to be knockout then at least it will be on his speed and not because of Sticky Web. Granted, Jolly saw this and figure it would be best to just go into Trevenant. This spooky tree resist most of Zeraora’s attacks. We may not be doing a sweep with Zeraora but I can at least do some damage. Things went back and forth for a bit here. Leech Seed was planted and I try to take down Trevenant with Scrafty. Though, I saw one of Jolly’s fun sets with Shadow Force. Trevenant disappear for a turn as I try to go for the kill with Knock Off. That gave Jolly another turn of Leech Seed which put Trevenant out of range for Knock Off. That was bad because Scrafty was getting low on HP thanks to Leech Seed. Eventually a swap came to Noivern. I figured that if Trevenant was out then now would be a good time to get rid of the Sticky Web. Jolly also thought it was a good time to switch into Rotom Wash. I had a decision to make and figure that the worst thing that could happen is I lose Noivern. The best thing is that Noivern gets Burn. A dice was rolled to use Defog and see what Rotom Wash would do. Apparently Rotom Wash decided to use Hidden Power Ice to clean Noivern out of the air. We got rid of Stick Web but lost Noivern. In the end, it didn’t matter because Jolly set up Stick Web again. 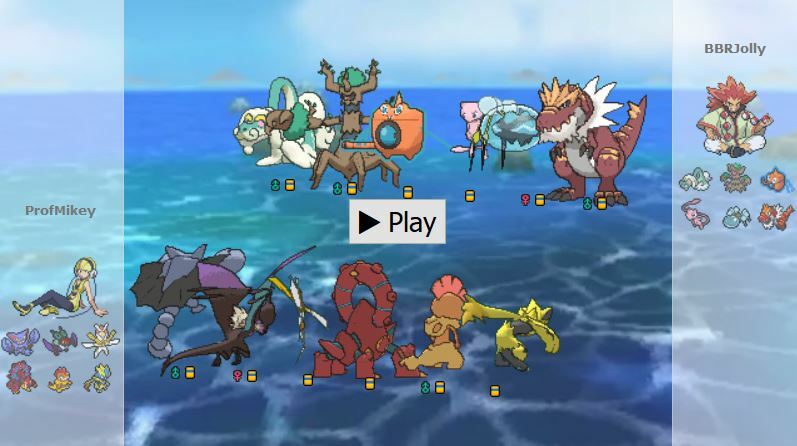 We eventually faced Jolly’s real headliner: Choice Spec Drampa. This guy is a tough cookie. He is bulky enough to take most attacks but strong enough to hit hard with a boosted Draco Meteor. How strong is Specs Draco Meteor? Strong enough to knockout a full HP Gliscor. That is pretty strong. Once again, we found our back against the corner. Jolly’s Araquanid had taken out our Zeraora with Mirror Coat. Apparently Jolly foresaw us using Special Zeraora this week. Now was our time to believe in the me who believes in me. We sent out Kartana and was going to slice, dice and just take out Pokemon. Kartana came in and used Leaf Blade. He landed in the Stick Web which slowed him down. 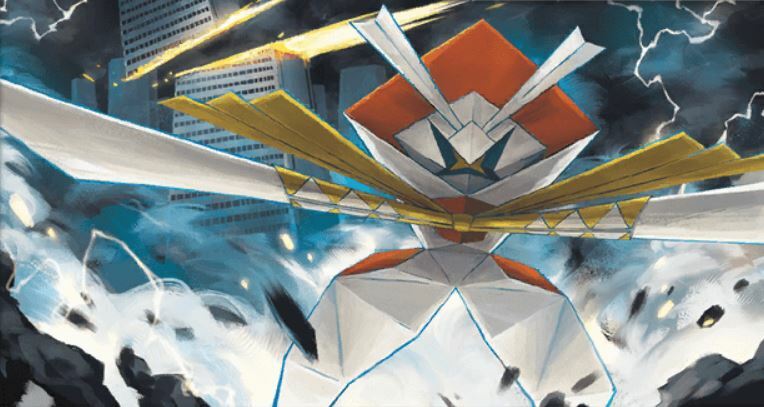 Though, Choice Scarf still gave Kartana an edge in speed over most of Jolly’s Pokemon. There wasn’t many Pokemon on Jolly’s team who would appreciate a Leaf Blade. His Araquanid with low HP was one of them. We took out the water spider and got our first Beast Boost of the battle. 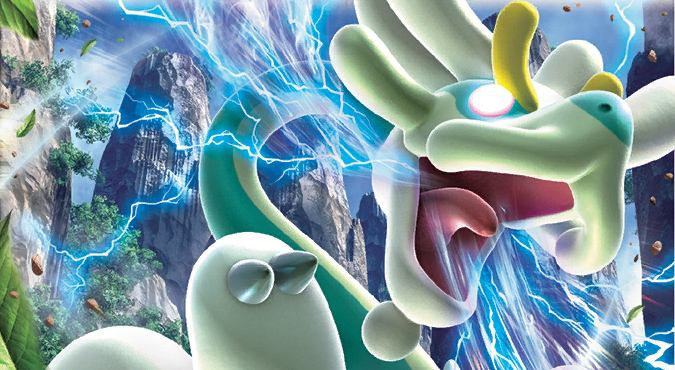 Next was Drampa. This Pokemon would resist Leaf Blade and had little over half HP left. Apparently that wasn’t enough to take a boosted Leaf Blade from Kartana. Another Beast Boost. Rotom Wash came out next. He may be bulky but a Super Effective boosted Leaf Blade was going to take it out. Kartana’s third Beast Boost. Tyrantrum came in and Kartana used Leaf Blade again. Though, this dinosaur was holding a Focus Sash to survive the hit. Jolly wanted to take this moment to set up to sweep my team. That one Dragon Dance would out speed our Scarf Kartana in the webs. I figured that if this was going to be Kartana’s last stand then so be it. Let our Paper Plane take a Fire Fang. Apparently Jolly saw that somebody else would be coming out and used Head Smash. Even with one Dragon Dance, Head Smash was resisted and not strong enough to take out Kartana. Either way, we were locked into Leaf Blade and got our fourth Beast Boost. 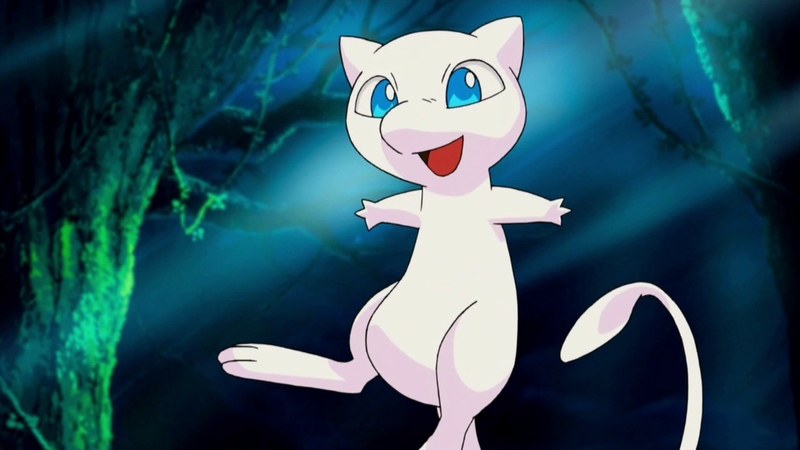 Mew was Jolly’s last Pokemon. There was no way it was going to live a four times boosted STAB Leaf Blade. Kartana simple came in and hit Mew for the last knockout. With all of that said, Kartana came in and showed that he was still the leader for our team. He wasn’t going to be out shined and proved that he too can take five knockouts. Either way, we came out of the Champion Room with a victory. Who the heck do you think we are! So what is next? We are at the end of the UPPL Draft League and normally this would be our last match. After all, I am a newcomer to the competitive video game scene. There is nothing more honorable the battling it out with tough competitors and having a fun time. Though, there is a playoff bracket and I did well enough to earn a strong ranking. Apparently I had won enough matches to get third place and keep it. With that said….We have more battles to do! I am fine with that because I love to battle some more! Get ready for a returning challenger! We are battling Snag and his Chan Medichan. We battled Snag a few weeks ago and now your Nimbasa City Emolgas are facing him again. Will we make lighting strike twice? We will try. We expect that Snag will take what happen in our last match and prep for that. He has a tough team and with some improvements he can wipe our team. We will need to do the same and see what needs to be done to cover our weaknesses from the last match and make sure that doesn’t happen again. Your Nimbasa City Emolgas have the week off but will return in two weeks with a battle! Wish us luck as we enter the playoffs! We are going to go as far as we can!